Marketing Services are provided for Coaches, Consultants, Professionals and other Businesses. Do you ask yourself: How do I market and promote my business? How do I navigate Social Media? Upstream Solutions has 25 years experience marketing and selling advertising for local and national clients. Let Upstream Solutions help you. Whether you want just a little assistance with your marketing or you want everything done for you. How do I Promote and Market my Company? Do I Need Offline or Online Marketing? 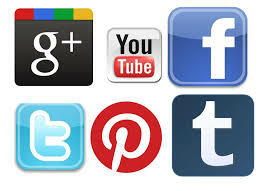 Learn the basics of Social Media in the comfort of your home, when you want. The online course includes a downloadable 45 minute link to rich, informative content on social media basics for facebook, linkedin, twitter and google+. Get all 3 links each week, for 3 weeks. A link is sent to your inbox that you can listen to at anytime.